Coley Hall managed the St. Regis Hotel team in Vancouver's senior baseball league. Vancouver sports entrepreneur Coleman (Coley) Hall once spotted a visiting hockey coach handing out autographed pictures of the team's players in the Vancouver rink. The stunt enraged him. "Are you trying to make me look cheap?" he barked. "Well, aren't you?" replied Murray (Muzz) Patrick. Four policeman were needed to separate the two men, the newspapers reported the next day. Mr. Hall, who has died, aged 95, was a man of quick temper and quicker fists, an umpire baiter as an athlete, a shrewd operator as a businessman and a fearless presence at all times. He well knew that Patrick, an old friend, had once been Canada's amateur heavyweight boxing champion. Stories about Mr. Hall are legion in Vancouver sporting circles. It is sometimes difficult to separate fact from anecdotal licence, but those tales that are known to be true are so fantastic as to make even the most incredible legend about him seem possible. He is said to have made his start in business by winning a tobacco stand in an all-night poker game, to have converted that small stake into a hotel empire, to have survived an assault on his life (while putting the attacker in hospital), to have claimed a desirable minor league hockey franchise by first snatching the rights to the city's only rink (and then to name them Canucks on the advice of a bootlegger friend), and later to have kept Vancouver's NHL team in operation even after its American owner was convicted of fraud. He once compensated a sports editor, whose nose he had broken with a single punch, with a new luxury car. Yet, his employees knew him only as a tightwad. "Coley Hall is so so cheap," hockey player Eddie Dorohoy said, "he wouldn't give you the sleeves off his vest." Once, one of the bargain pucks he had bought for his hockey club actually broke in two when it struck a goal post during a game. His opponents claimed he bought his pucks at the five-and-dime. He had never been a hockey player himself. 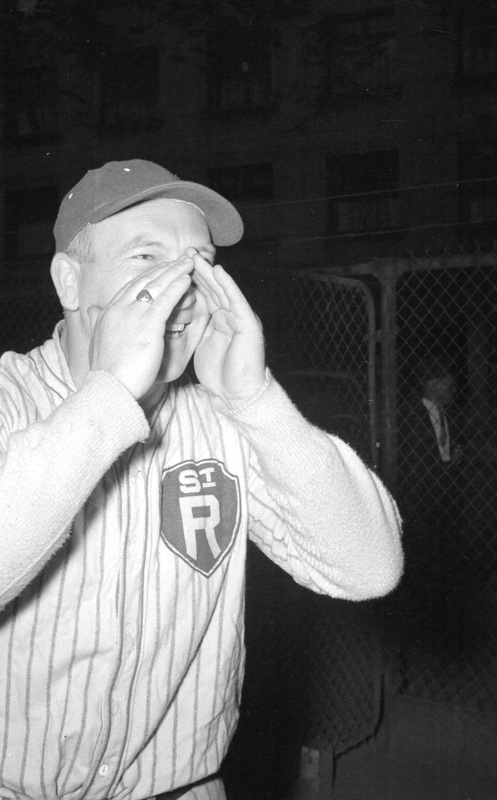 Born in Vancouver in 1906, Mr. Hall's first sporting love was baseball. As a teenager, the strapping, 6-foot, 200-pound right-handed pitcher had a tryout with the San Francisco Seals of the Pacific Coast League. After he injured his arm, Mr. Hall became a slugging first baseman. He was a long-time presence in Vancouver's senior city league, a semi-professional circuit that played at Athletic Park on the south shore of False Creek. Mr. Hall was a feisty player. It could be said he never met an umpire he liked. Nor was he one to turn the other cheek, instigating several memorable on-field brawls. In winter, he played basketball, a sport he would eventually abandon for becoming too sissified. During the Depression, Mr. Hall returned to San Francisco to work on the docks. He nearly died after suffering a grievous injury in a fight, although accounts differ on the circumstances. Some say he was struck in the back with a bailing hook but fought on until he broke his attacker's jaw; others say he was stabbed in the back during a poker game but fought on until he broke his attacker's leg. (That dispute apparently began when a fellow card player objected to the introduction of a Canadian nickel to the pot; Mr. Hall took exception to a slur on his native land.) In any case, he survived. A marathon poker game led to his becoming the owner of a news-and-tobacco stand in the lobby of a Vancouver hotel in the 1930s. With $8,000 to his name, Mr. Hall, whose first job was as a $6-a-week office boy, eventually bought the $30,000 Martinique Hotel with backing from the local brewer. His 40-year career as a hôtelier in British Columbia saw him own and manage the St. Regis, the York, the Ritz, the Devonshire and four other hotels, including one in the company town of Kitimat where patrons from Alcan's aluminum smelter queued nightly to enter the crowded beer parlour. The pub manager at the St. Regis was Hector McDonald, a terrific boxer who had not long before been Canadian lightweight champion. Mr. Hall once asked McDonald to join him as he went to the hotel's top floor to straighten out a pair of troublemaking loggers. "We handled them pretty good, but Hec was a little longer with his," Mr. Hall said. "I said: 'What the hell kept you so long?' " It seems McDonald's conscience dictated that he follow Marquess of Queensberry Rules. "He had to go through all his boxing methods," Mr. Hall explained, "which took him a little longer." Mr. Hall was more street fighter than pugilist. In 1945, Mr. Hall learned that a fledgling hockey league was about to grant a franchise to a Vancouver businessman who had operated a rival team in the senior baseball league. Mr. Hall put the squeeze on a drinking buddy and signed an exclusive lease for the Forum, the only suitable hockey arena in the city. Mr. Hall ended up with the franchise. He needed a name and visited Art Nevison to canvass for suggestions. "Call them the Canucks," the bootlegger said, his inspiration coming from the wartime comic-book character Johnny Canuck. The original Vancouver Canucks played in the Pacific Coast Hockey League, which was known as a "shamateur" circuit. (Rights to professional hockey were still owned by hockey legend Lester Patrick, so the league had to pretend to be amateur.) The league limited a player's salary to $2,000, but Mr. Hall was in little danger of violating the salary cap. He paid all 15 players on his inaugural roster just $50 a week. The league eventually turned pro as the Western Hockey League. In 1959, Mr. Hall sold the Canucks to Pacific National Exhibition, which also owned the Forum. He was given an expansion franchise in San Francisco in the Western league that he named the Seals. It brought him two championships and another small fortune. Mr. Hall was eager to own an National Hockey League team, but the other owners were wary of a maverick who was known to get his way. Instead, he was an adviser to a Vancouver group that was unsuccessful in landing an expansion franchise for the 1967-68 season. He eventually worked for Medicor, a U.S.-based company that landed a $6-million NHL expansion franchise for a team in Vancouver that would take the Canucks name. Mr. Hall quietly managed the business side of the NHL Canucks as majority owner Tom Scallen dealt with fraud charges that eventually would land him in jail. 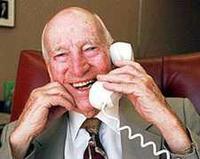 Mr. Hall brokered a deal for the sale of the team to broadcaster Frank Griffiths for $8.5-million. A reluctant Griffiths approved the sale as long as Mr. Hall agreed to serve for 10 years on the board of directors. Mr. Hall, who spent part of the year in Hawaii, hired as the NHL team's general manager Norman (Bud) Poile, with whom he had had great success in San Francisco. Mr. Hall also made a pledge to his old friend, as recounted in Denny Boyd's The Vancouver Canucks Story (1973). "You're the boss, Bud," Mr. Hall said. "I promise you, the day you bring us the Stanley Cup, I'll give you and your family an all-expenses vacation in Hawaii." "Crissakes, Coley," Poile replied, "by the time we do that they'll have built a bridge to Hawaii." Mr. Hall died in Vancouver Hospital on Aug. 10 of causes associated with old age. He leaves his companion, Helen Pickett, and sons Max and Brent. His wife Janet died in 1978. * Coleman Hall, athlete, hotelier, sports entrepreneur; born in Vancouver on Dec. 6, 1906; died in Vancouver on Aug. 10, 2002.